Daniel Radcliffe is casting a new spell on the silver screen. The former Harry Potter is set to star in Brooklyn Bridge, a new film scripted and directed by Douglas McGrath, known best for Emma and Bullets Over Broadway. 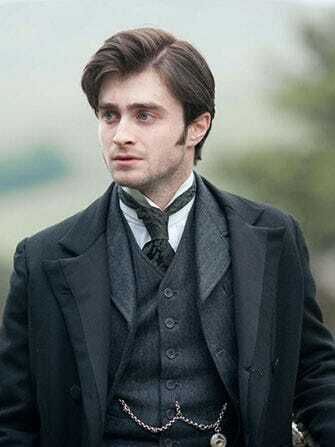 Though Radcliffe has been living amongst us Muggles since leaving Hogwarts in 2011, he has returned this year to another period piece. Brooklyn Bridge is the story of Washington Roebling, played by Radcliffe, who was left to oversee the construction of the Brooklyn Bridge when his father died. The engineer became obsessed with the project and suffered a multitude of heath issues during its construction. It wasn't until he met his wife, Emily, that he found a true ally.